General Rubber is original equipment in half of the nuclear generating sites in the U.S., including the newest AP1000 units and several international plants. Whether you need a Plant Reliability and Efficiency Program (PREP) for an existing plant, or are interested in Best Piping Practice and Optimization (BPPO) for a new construction project, General Rubber has the experience and solutions you require. General Rubber leads the industry in performance rubber expansion joints. Our variety of advanced elastomers and designs are ideally matched to the strict performance levels demanded by the nuclear power industry. Additionally, we are able to provide safety-related components, performance replacement expansion joints, and industry-leading predictive maintenance programs at a single site or at a fleet-wide level. 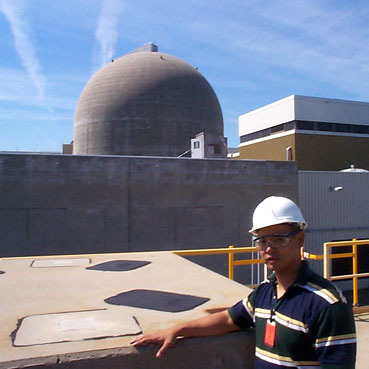 Let us show you how our rich history in nuclear power can help you maximize plant uptime, safety and efficiency with our performance expansion joints and knowledge of industry best practices. For more information on our performance products, advanced materials of construction, or our PREP and BPPO programs, please contact us.